For the first time ever in Ireland Boater-X style competition is coming to the Real South East of Ireland. 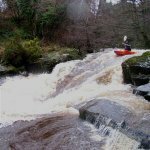 On 14th-16th November 2008, the first ever Colligan Gorge Games will take place! 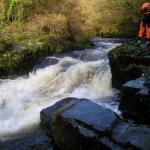 The venue for the event will be the challenging Gorge Section of the River Colligan, Dungarvan, Co. Waterford. With the absence of a BigBoatBonanza and WetWestWildWeekend this year we hope all individuals, clubs and universities will make their best effort to attend in huge numbers. 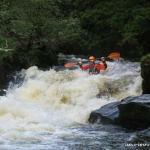 The event is joint hosted by 180 Kayak Club, WIT Kayak Club and Shielbaggan OEC. The competition will take the same format as that of the BBB and W4 with a few surprises thrown in. You can find out more information about the event, location, after party etc. etc. at the event website. There will be loads of prizes, excitement and craic at the after party. Be sure to come along. Please Note: As it is our first year running such an event, we intend to keep it to one day’s competition. However if there is sufficient interest in the event this may be reviewed. If you have any questions please read through the event website and then if they remain unanswered speak up on the irishfreestyle.com event topic.